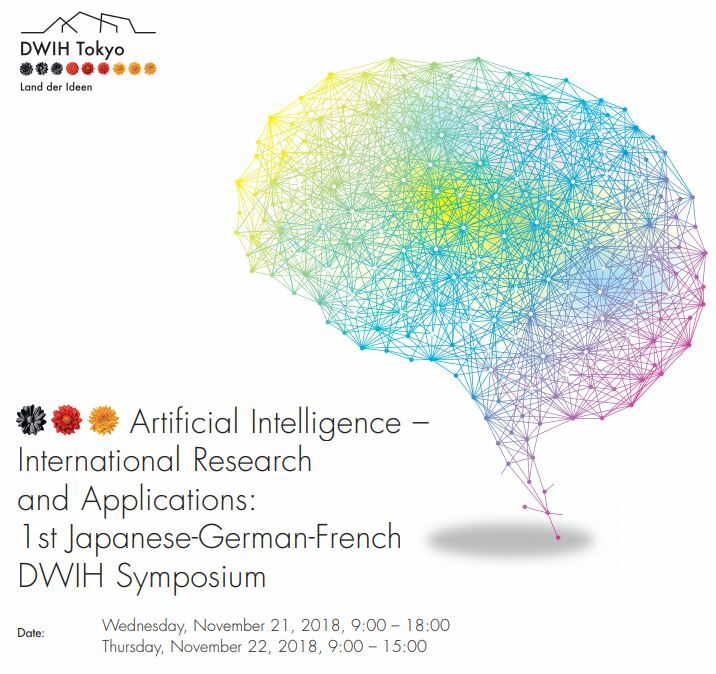 On November 21–22, the German Centre for Research and Innovation Tokyo (DWIH Tokyo) will be holding the ”Artificial Intelligence – International Research and Applications: 1st Japanese-German-French Symposium“. The objective of the symposium is to showcase the latest research findings and recent advances in the application of artificial intelligence (AI) as well as ongoing collaborative AI projects between Japan, Germany and France on AI in various sectors, while also promoting further inter-disciplinary exchange and collaboration. 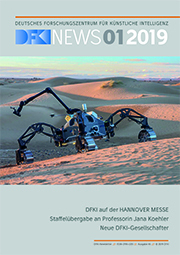 The Keynotes and Sessions will reflect the latest developments in AI, including DFKI-perspectives on Machine Learning and Autonomous Systems. November 21 | 09:00 a.m.
Based on the availability of data and computing capacity, more and more cognitive tasks can be transferred to computers that learn independently to improve our understanding, increase our problem-solving capacity or simply help us to remember. AI systems are finding more and more areas were they fundamentally change our living and working environment. Starting with a short introduction of the German AI platform “Self-Learning Systems”, this talk provides insights into examples of the workspace of the future in administration, manufacturing, and education where self-learning system unfold their manifold opportunities. November 22 | 10:30 a.m. The world around us is highly complex but Autonomous Systems must be able to reliably make accurate decisions that in many cases may even affect human lives. With Digital Reality we propose an approach where instead of only relying on real data, it learns models of the real world and uses synthetic sensor data generated via simulations, for the training and – even more importantly ­– the validation of Autonomous Systems. This is extended by a continuous process of validating the models against the real world for improving and adapting them to a changing environment.